In his second defence of his IBF title, Anthony Joshua took on Wladimir Klitschko in one of the most anticipated heavyweight fights in boxing history. 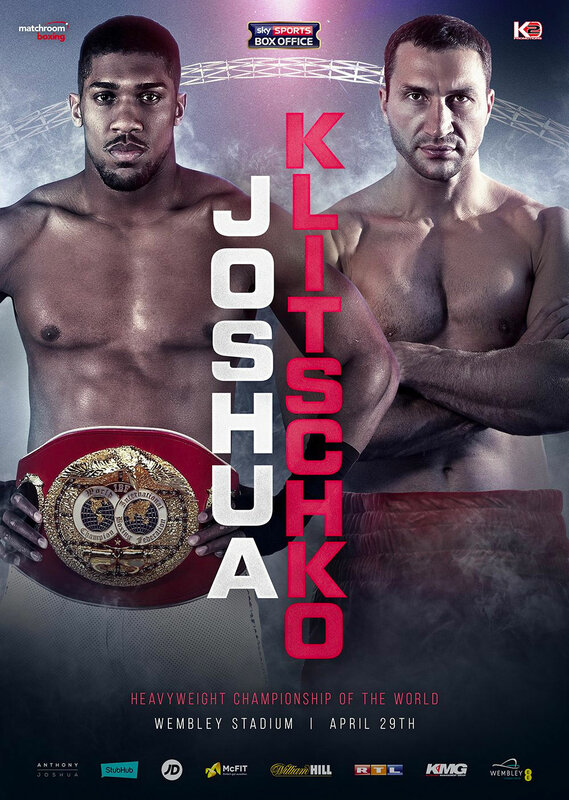 After a knockdown by Joshua in the 4th and then by Klitschko in the 6th, Joshua won the match via technical knockout in the 11th round. 90,000 tickets were sold making it the biggest crowd to attend a heavyweight fight in over 90 years. Here's a work-in-progress showing some of the creation of the design. The IBF belt and Wladimir's shorts were added during the early stages. The design was a simple, clean layout, with a vertical running title to convey the magnitude of the fight.